If you have been told that your home is located in a flood zone, please call ​Jasper Land Surveying to get an elevation survey completed for your house. Call ​Jasper Land Surveying at (423) 301-8001 or send us an e-mail with your name, address and phone number to [email protected]​Jasperlandsurveying.com. The land surveyors at ​Jasper Land Surveying are eager to discuss your potential flood situation with you. 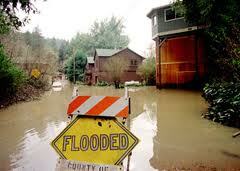 To talk about your flood determination needs, please call us today at (423) 301-8001.